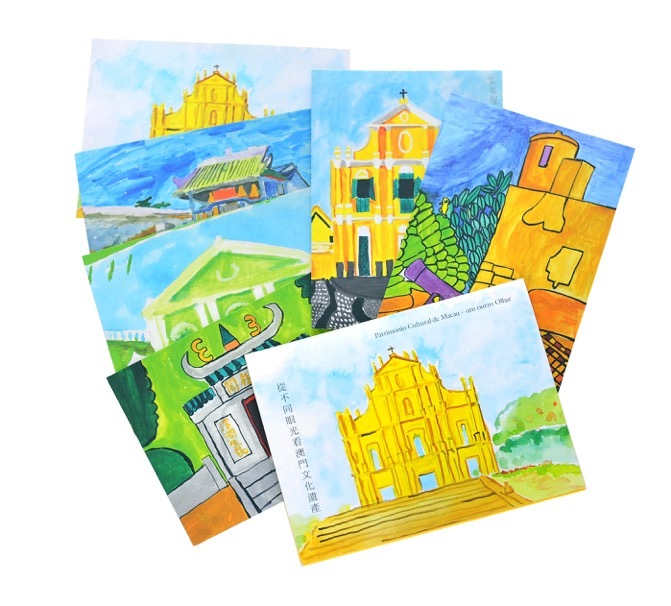 Macao Post will release a set of 6 postcards “Cultural Heritage of Macao – Another Sight”, marking the 25th Anniversary of Association of Parents of Mentally Handicapped Macao. It aims to achieve a greater social recognition of creativity of authors with mental disabilities, through their paintings on the World Heritage of Macao. The postcards will be available for sale on 6th October 2016, priced at MOP42.00 per set. It will be available for sale at the Macao Post Headquarters and all post offices.OP 42,00, a partir do dia 6 de Outubro de 2016, na Estação Central e em todas as estações postais.